We asked a pool of international photobook experts to share with us an image-text photobook they find particularly interesting, regardless of its publication date and where text is a fundamental element in the narrative (not a mere introduction or essay on the photoworks). 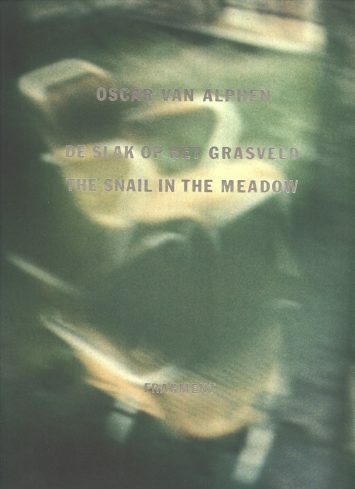 Here Taco Hidde Bakker reveals why Oscar Van Alphen’s De slak op het grasveld [The Snail in the Meadow], first published by Fragment in 1991 (191 pages), has made a lasting impression on him. 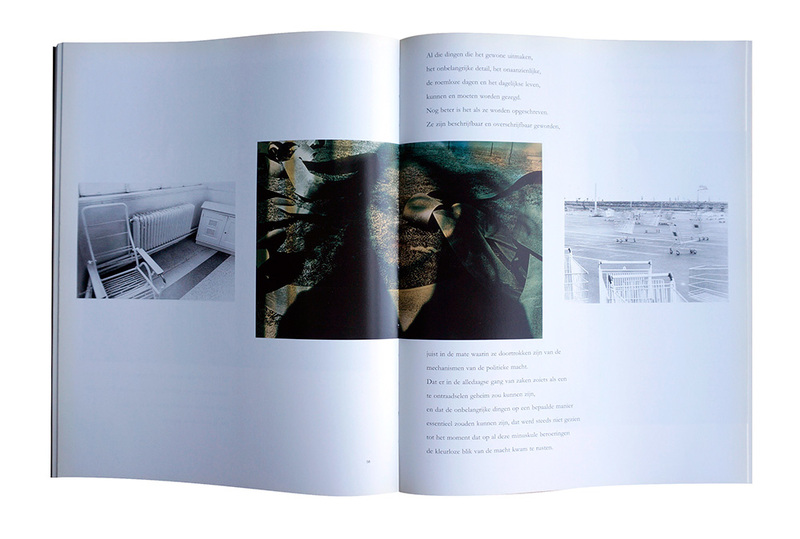 My modest library contains a photobook that surprises me every time I rediscover it: the curious The Snail in the Meadow (1991), in which the photographer and theorist Oscar van Alphen (1923–2010) combines image and text by way of free association. Its title is taken from György Konrád’s novel A Feast in the Garden (1989), whose narrator — apparently Konrád’s alter ego — recounts how he tries to be as small, invisible and calm as possible, neither wanting to shout from the rooftops the few things he understands, nor wishing to participate in the latest craze, since he thinks that ‘the snail on the meadow shall still be fashionable tomorrow’. Despite its odd interplay between image and text (on levels of both substance and form), The Snail in the Meadow appears to be natural and self-evident, as if this book could not have come into being otherwise. Van Alphen gave designer Wigger Bierma carte blanche to draw from his entire archive of ‘candid’ photographs, images Van Alphen had shot randomly or in the margins of assignments across Europe. The selection ranges from photographs documenting political rallies to still life and landscape images. can and should be mentioned. Even better if they would be written down. with the mechanism of political power. where gazed upon by the colorless eyes of power. In the late 1950s, the early days of his career, Van Alphen worked in the humanist tradition with a particular focus on children in urban public spaces. In the 1980s, after having become dissatisfied with conventional applications of photojournalism, he began to expand his practice. This led to innovative projects, most notably the slide and sound installation The Wars (1985), a daunting visual essay in which Van Alphen combined his photographs of the May ‘68 protests in Paris with those of desolate mining areas in northern France and Belgium, and animated these with spoken fragments from Georges Bataille’s Madame Edwarda (1937). The mirror was a great help to me: I gave it the job of teaching me that I was a monster; if it would succeed my bitter remorse would turn to pity. But, most importantly, the failure having revealed my servility to me, I uglified myself to make my slavishness impossible, to renounce men, and have them renounce me. The Comedy of Evil was being played against the Comedy of Good; Eliakim was acting the part of Quasimodo. By screwing and wrinkling it up, I was altering my face; I was throwing acid at myself to efface my old smiles. The remedy was worse than the disease: I had tried to take refuge from glory and dishonour in the loneliness of my true self; but I had no true self: I found nothing except a surprised insipidity. Before my eyes a jellyfish was striking against the glass of the aquarium, feebly gathering its ruffle and fraying into the shadows. Night fell and inky clouds invaded the mirror, burying my final incarnation. Deprived of an alibi, I fell back on myself. In the darkness I sensed a vague hesitation, a banging noise, a whole living creature—most terrifying and the only thing of which I could not be afraid. I fled; and in the light resumed my role of tarnished cherub. In vain. The mirror had told me what I had always known: I was horribly ordinary. I have never gotten over it. The child’s eyes transfixed in the night. The horror between two walls rise like the wind on the sea. God ‘who sees everything and knows all our thoughts’ watches me sternly. Although this line may be read as entry point, the most intriguing books come without a reader’s guide. The unorthodox premise of The Snail in the Meadow can be easily misunderstood. Is it because it appears as resistant to the whims of fashion as the snail that dangerously crosses the seemingly infinite meadow? The intangible interplay between image and text here seems to allude to the inter–legere of intelligence: the reading and collecting in between (the lines), thereby resisting image as illustration and text as explanation. This book forms a printed and bound Hyper-Image-Text conjunction that was published in the very same year that saw the first-ever web page go online. 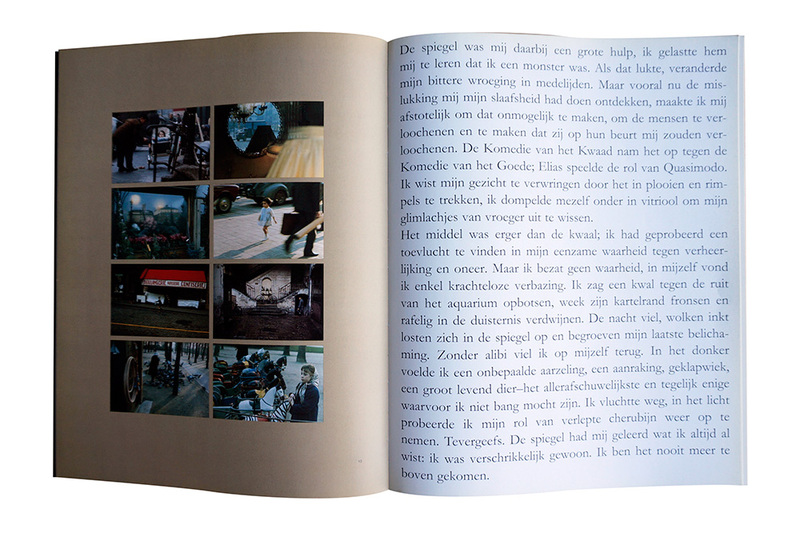 Taco Hidde Bakker works as a writer, translator, researcher, and sparring partner for artists. 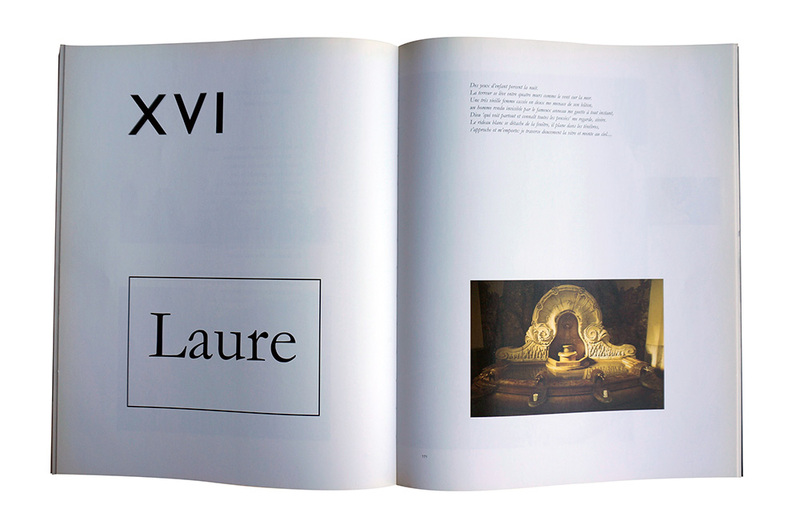 His writings reflect on many different topics, as seen through the prisms of photography, cinema, and the visual arts. 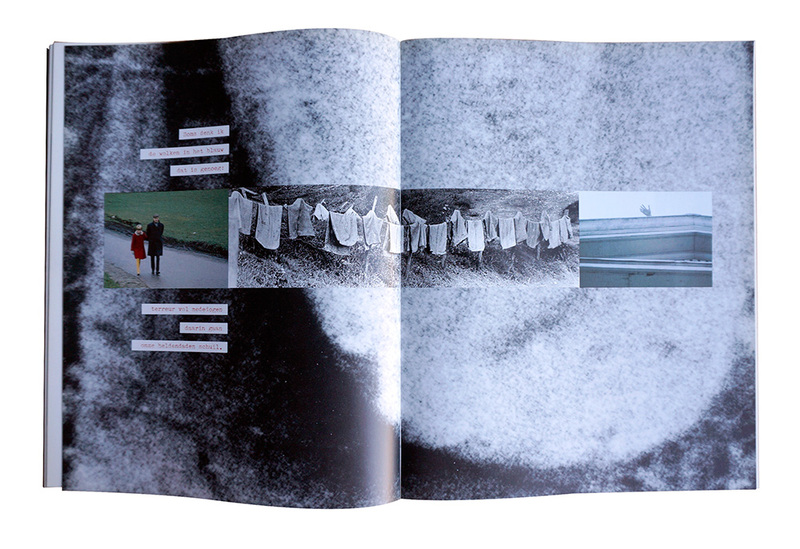 His essays, reviews and other writings are to be found in various artist’s books and in international magazines such as Camera Austria International, EXTRA, Foam Magazine, and Aperture’s PhotoBook Review. His first essay collection, The Photograph That Took the Place of a Mountain, was published by Fw:Books in 2018.